Kirkley Hall is a beautiful 17th Century Grade II listed building situated in the Northumberland countryside just outside of Ponteland. Set in stunning grounds and gardens the site offers a tranquil location for your business – whether that is a new or existing business. Situated only 4 miles from Newcastle International Airport and 8 miles outside of Newcastle city centre with excellent access from the central A1 motorway, the hubs provide an excellent location for your business. Businesses can also benefit from being part of a busy campus location that hosts many big events and regular attractions such as the Zoological Gardens and Outdoor Activity Centre, as well as a whole host of people accessing the site every day. 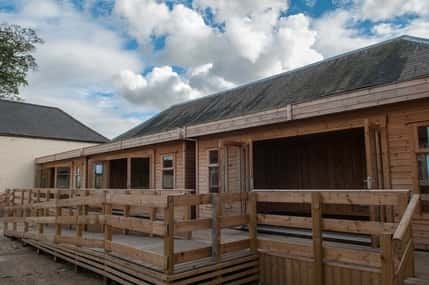 The Hall is part of Northumberland College's Kirkley Hall site, which has provided agricultural and land-based training for over 50 years.